So this is my second tag of the week funnily enough, what can I say I don't get tagged for weeks on end and then bang two tags all in the one week. 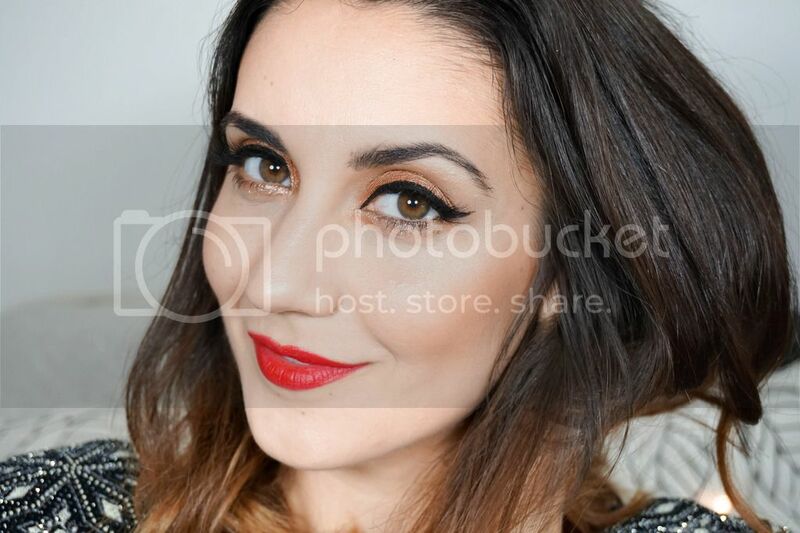 This time I've been tagged by the gorgeous Siham from Noirette Diary to complete this short & sweet this Autumn Tag. Hope you enjoy reading it, as much as I loved writing it. I'm not the biggest coffee drinker in the world, I definitely opt for tea 90% of the time. When I do have a coffee every now and then, it's always a latte and if possible I will get caramel syrup to it. Milky and sweet is how I like my coffee and it doesn't matter where it's from necessarily. Most of the time I actually used to get my coffees from McCafe back in Dublin. And I don't change my hot drinks depending on the season I'm afraid, I'm boring like that as I tend to stick to what I know and like. 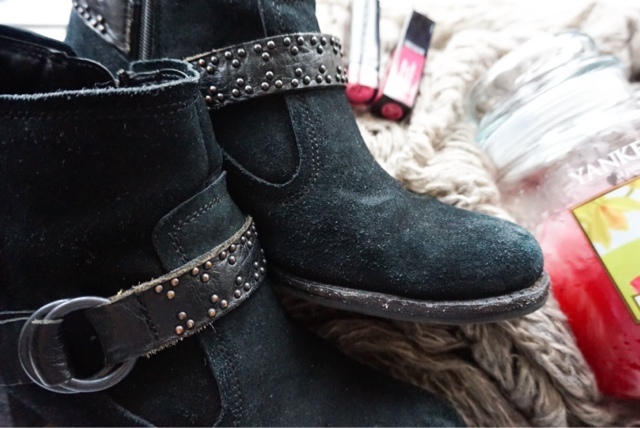 Boots are definitely a must-have for the colder months and it's what I wear all autumn/winter long. As it gets colder I also have a scarf wrapped around me at all times, last year I was loving the cosy, knitted versions. I don't really wear gloves much as I find them impractical, but I'll probably have a pair with me in my handbag just incase. My music doesn't change with seasons at all, I didn't even know this was a thing. When it comes to music I pretty much like anything and I always enjoy whatever is in the charts at the time being. There's nothing wrong with bopping along to a catchy tune I say. Again I don't change my taste in scents with seasons, as I always opt for sweet & floral scents no matter what time of the year it may be. At the moment I am loving Lancome La Vie Est Belle but I'm not sure what I'll pick up once this bottle comes to an end. I have my eye on a few fragrances so I'll have to wait until I'm actually sniffing around in the store to see what my ultimate autumn perfume might be. I must be a boring person because again I stick to the same sweet scented candles all year long. 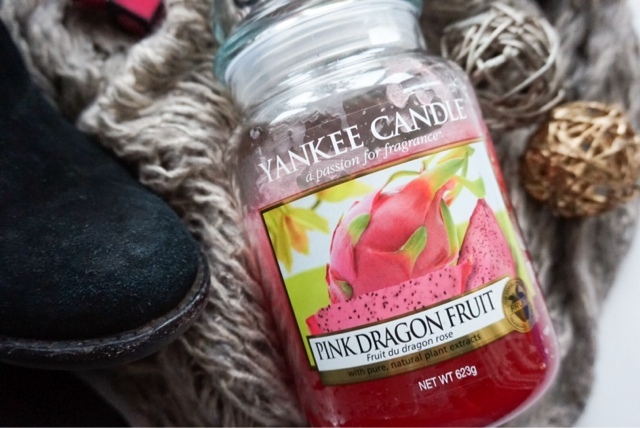 I love Yankee candles and I have three huge glass jar versions around my apartment, they're all fruity or sweet but my personal favourite out of the current three would have to be the Pink Dragon Fruit. I love the scenery with its red/auburn colours, the idea of cosy nights in and the fashion/makeup trends. I love seeing the dark berry lip trend on everyone else but every time I've tried it on myself I just felt uncomfortable wearing it and didn't have the confidence to pull it off. However this year I'm determined to make it work so that would have to be my favourite. Everything I've mentioned above and my little girls birthday which is on the 9th of October. I can't believe she will be turning two; it's just crazy looking at how big she's after getting and realising that I'm her mother. I don't really know how to describe it in her words, but that is definitely one of the most important dates in autumn for me. Hope you enjoy this tag and it makes you look forward to the colder months. I love Yankee Candles! Great tag! I must take a sniff of that Yankee candle, I'm overdue a Yankee splurge!